With the coming retirement of Sheriff Jim Coats the office of Pinellas County Sheriff will be on the 2012 ballot. The five announced candidates to date are Bob Gualtieri, a Republican; Randy Heine, a Democrat; Stephen W. Reilly, another Democrat; Greg Pound of the Constitutional Party of Florida; and former Pinellas County Sheriff Everett S. Rice, another Republican. More information about Gualtieri can be found on his campaign website. Candidates Heine, Reilly, Pound, and Rice did not have identifiable campaign websites as of June 13, 2011. Florida State Senate District 13, comprising parts of Pinellas County, will be up for grabs in 2012 due to term limits precluding incumbent Republican Dennis Jones from running again. There presently are two announced candidates, and both are Republicans. Leslie Waters kicks off her campaign for State Senate. 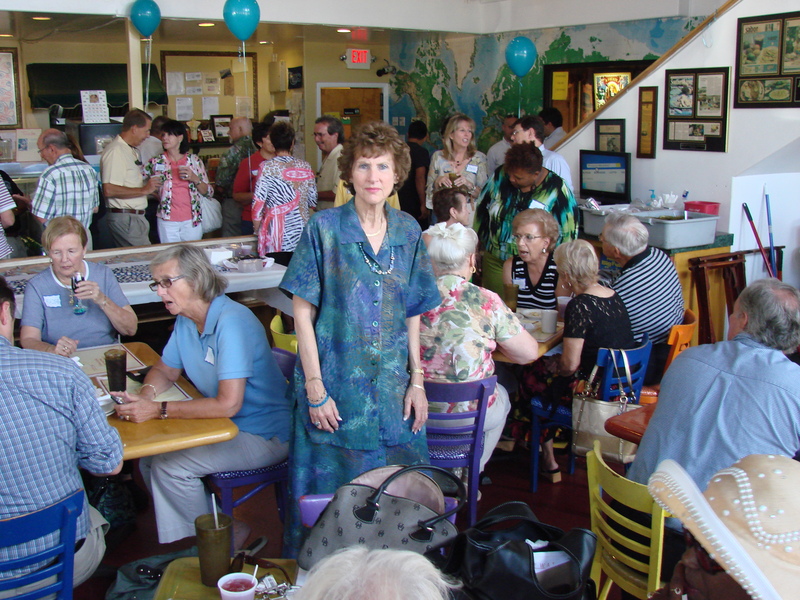 (June 11, 2011) Leslie Waters, Republican candidate for State Senate District 13 in the 2012 elections went back to her roots and kicked off her campaign today before a crowd of about 100 enthusiastic supporters at Gulfport’s Habana Cafe, the same location where in 1997 she kicked off her successful campaign for the Florida House of Representatives. She is running against State Representative James C. “Jim” Frishe, who is also a Republican. 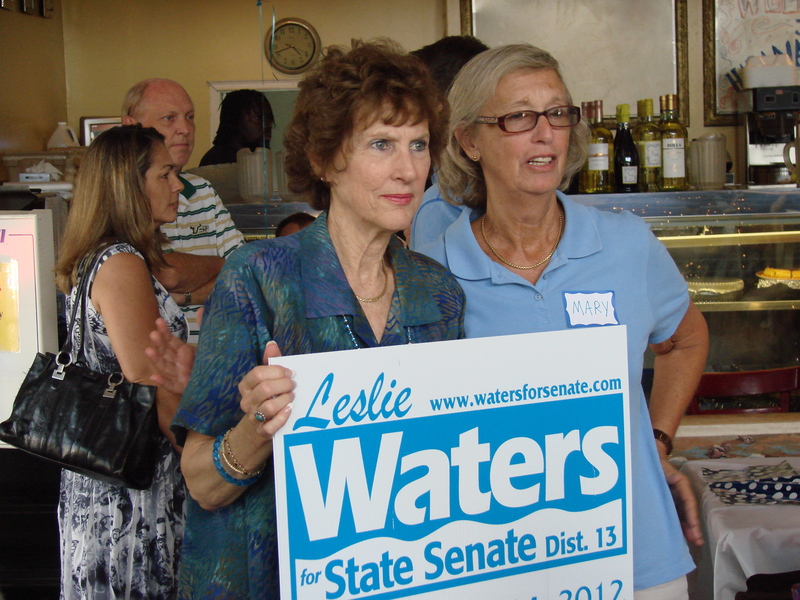 Waters is considered a political moderate, is well-connected with the political establishment in Pinellas County, and is running on a “good government” platform that stresses her extensive experience in public service. More information about her campaign can be found at the Waters campaign website, located here. Leslie Waters among her supporters.